It’s no secret that the body gets older every day, the same goes for skin. Wrinkles can start showing up as early as your mid-twenties, depending on variety of factors. Everything from sun damage, genetics, unhealthy diet, hormonal imbalance and poor skin care regime can result in skin aging. At this point you cannot run from the inevitable future, you still can do a lot to make the whole process of skin aging slower. Protect against the sun: it is important to protect your skin against the harmful effect of the suns UV radiation throughout the whole year. It’s not realistic (nor healthy) to avoid the sun completely, but you can protect your skin by applying sunblock (SPF) on a daily basis. Find a skincare regime that’s suitable for your skin type: keep in mind not all skin is the same. We have different skin types and different skin concerns. 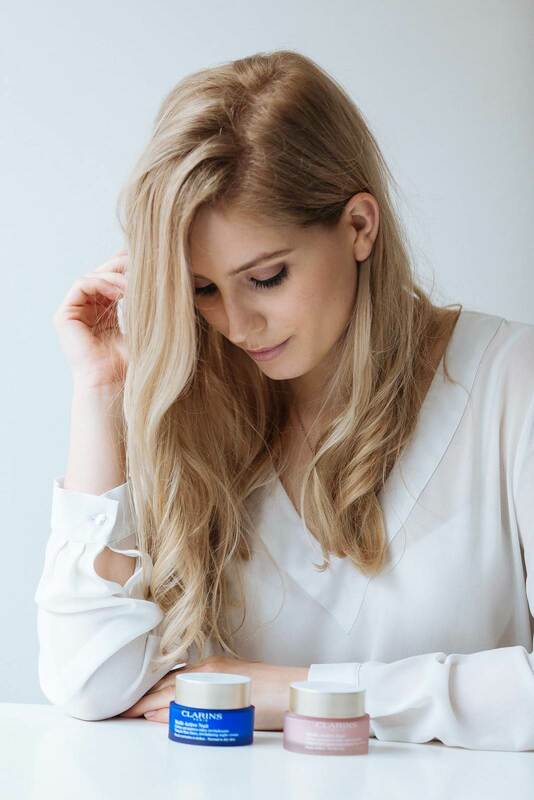 The key to establishing a good, healthy and efficient skincare regime is to find products and methods that work for your skin individually. 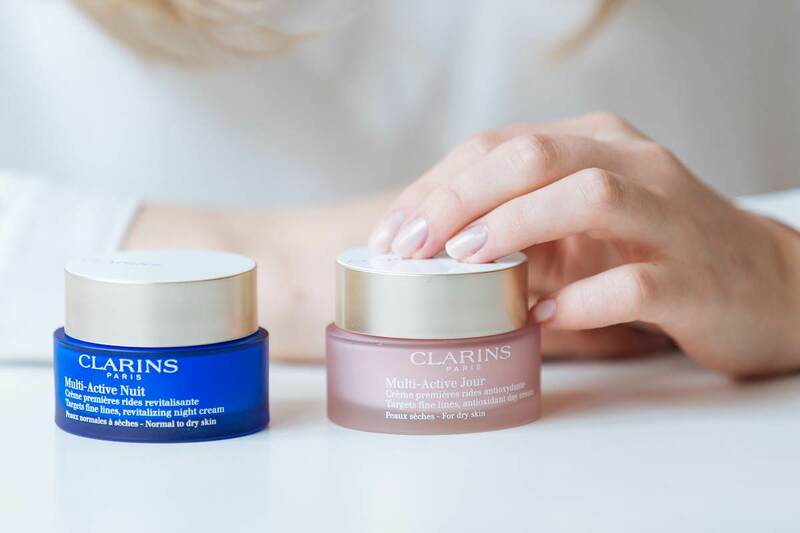 I can recommend you to check out the latest Clarins Multi-Active Day & Night creams, which are all full of active ingredients suitable for different skin types. They offer day and night versions of creams for those with dry, normal or combination skin type. A great skincare is in fact the best way to have some control over how you will look in the future. 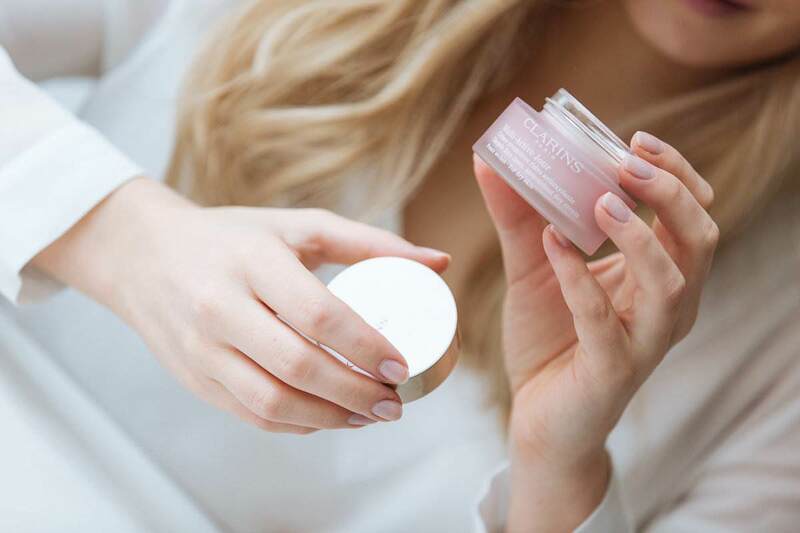 The ingredient to look for in a cream that will help you fight early signs of aging are: antioxidants, moisturizing and nourishing ingredients that are both cell-communicating and skin repairing. 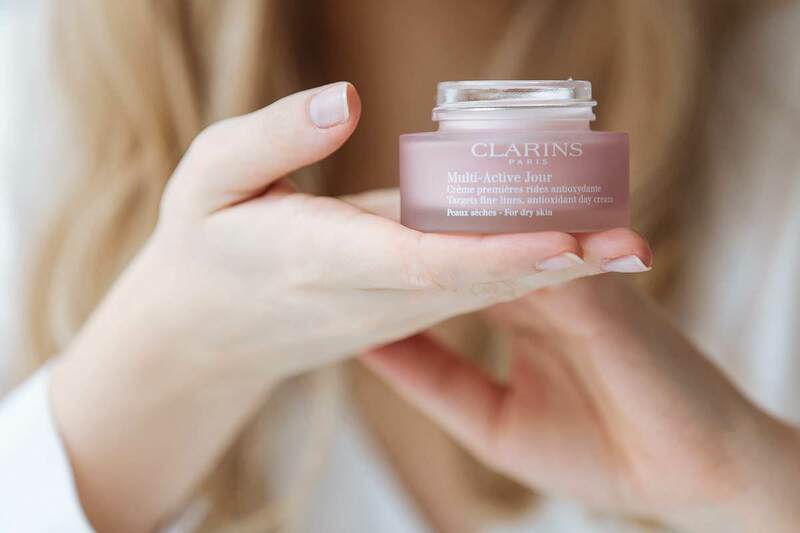 Clarins really took all the aspects of skin aging under consideration and came out with the duo of products that is a great anti-aging starter kit. 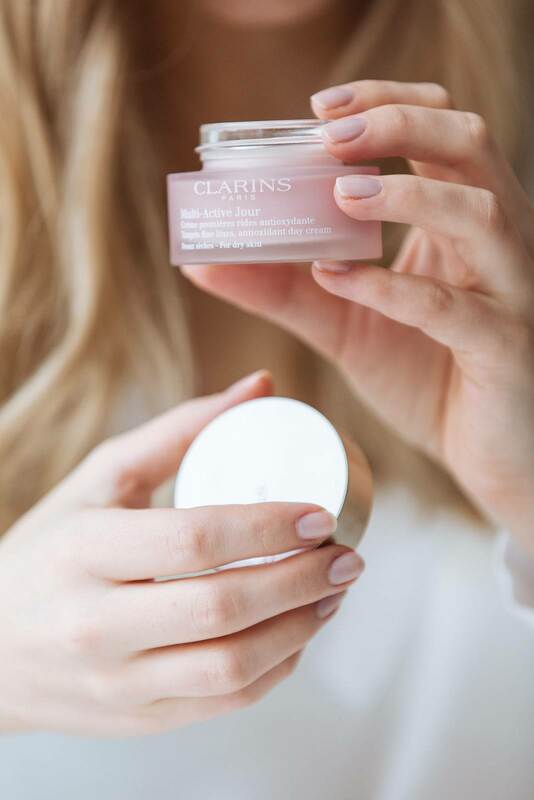 I’ve been enjoying the day and night version for dry skin for a few weeks now and I can say my skin definitely looks and feels more radiant and healthy (even when I’m not getting enough sleep or being under a lot of stress!). The products are rich enough for my dry skin, their texture is balmy and easy to apply, while the scent is mild, but divine. Eat healthy & have a balanced diet: I believe all things are best in moderation, but the fact that the health of your skin can be improved from the inside out has been confirmed. Therefore I try eating foods rich in healthy oils and antioxidants, which help protect my skin cells against free radicals. Drinking enough water is important for skin hydration as well. Avoid drinking too much alcohol and smoking in order to look younger. 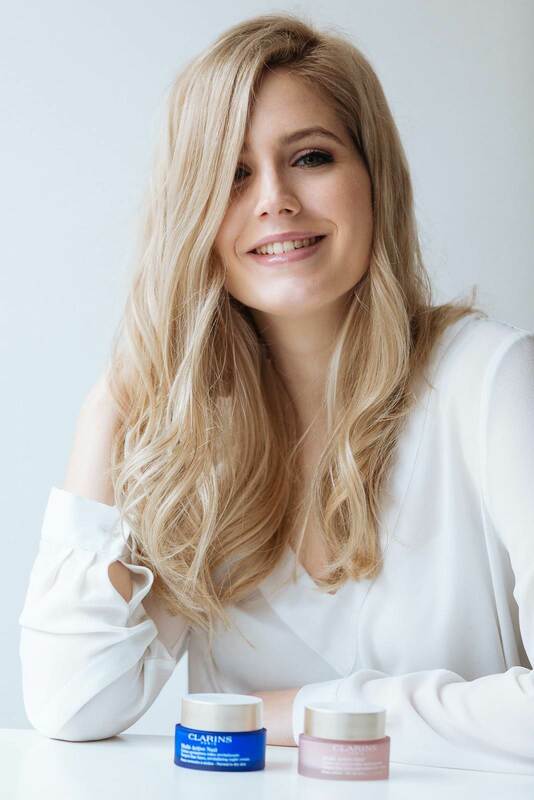 Accept the inevitable: in the society so focused on looking beautiful and young, women these days are more and more concerned about physical appearance. Keep in mind one is truly beautiful when being happy and confident. A big part of it is definitely embracing those little lines and accepting there’s no product that can turn back the hands of time (except some heavily invasive procedures). There are definitely things in life that are #worththewrinkle. 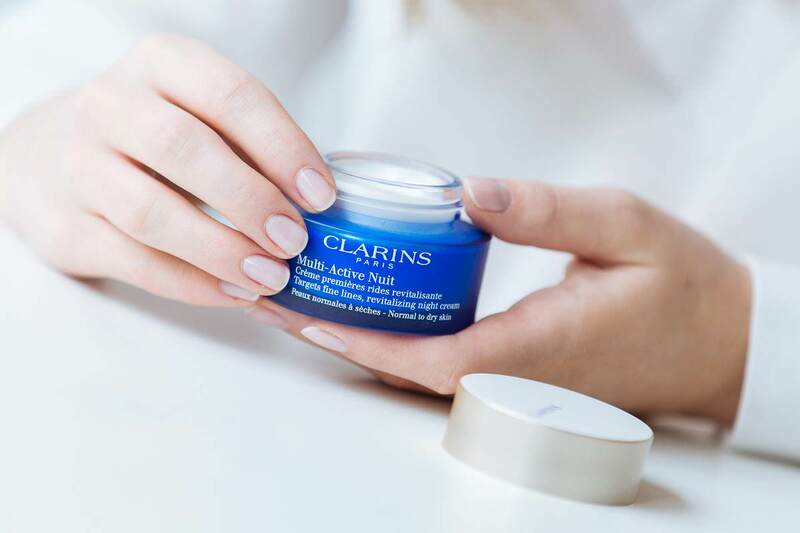 Sem slišala že veliko dobrega o Clarins produktih, zdaj bo pa pa res čas, da sprobam kakšnega! Zelo lepa in informativna objava <3. Sama nisem veliko na soncu, bi si pa morala omisliti pogostejso uporabo SPF :). To je edina stvar, ki se je morem se res privaditi.